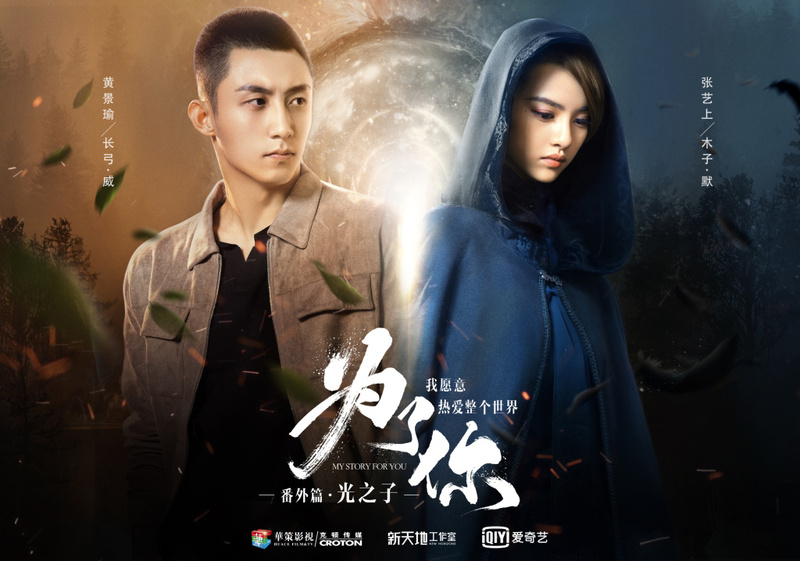 My Story For You 为了你我愿意热爱整个世界 has a spinoff starring Johnny Huang Jingyu (Moonshine and Valentine) and Zhang Yishang (Asura) set in a place governed by magical rules. Curious yet? Whether intentional or not, our main character is basically reminiscent of Harry Potter, a new student off to wizarding school onboard a train. It all sounds so random since My Story For You starring Zheng Shuang and Luo Jin tells a realistic story based on the life of the author, and it turns out that the connection lies in the story within a story. Luo Jin's main protagonist Chang Gong wrote his first book Son of Light 光之子 based on his imagination of a superhero, played by Johnny Huang. I don't even know how many episodes this is or if it's just a short film, but it's sounding so interesting to me. Looks like it will be a movie, the connection between the stories are bit of stretch. Totally with you that it sounds kinda interesting though.